Don’t shoot me. I can explain but first you have to make it through some miscellaneous Merckx photos and endorsements. It’s another Merckx Mondays! 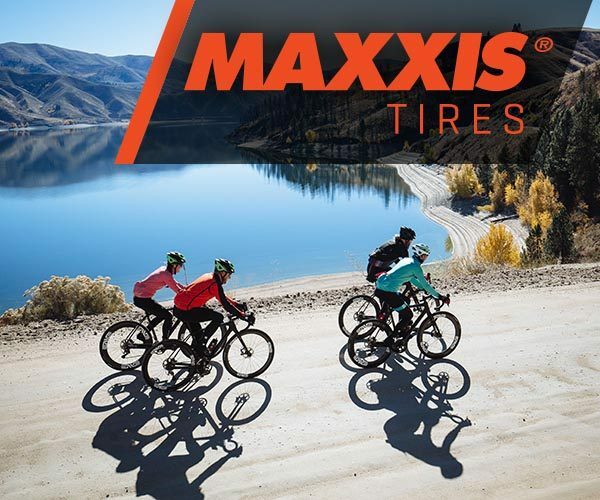 As we saw last week, Merckx was a man of product promotion. That was how professional cyclists made a bulk of their money back then and even now; endorsements. 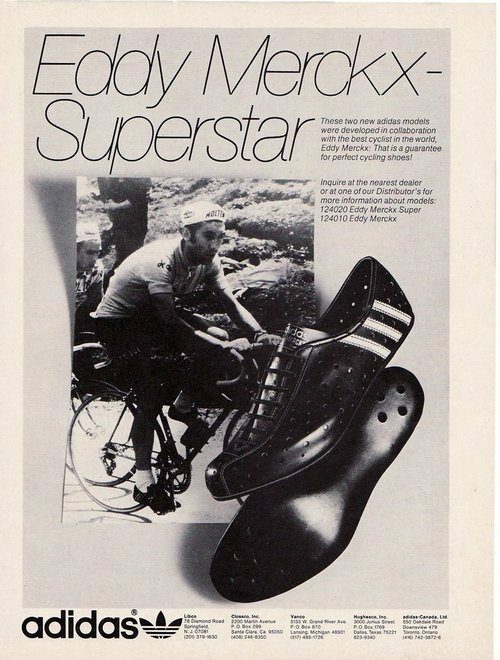 Here’s an ad from the Adidas Eddy Merckx shoes that was forwarded to me by a reader. 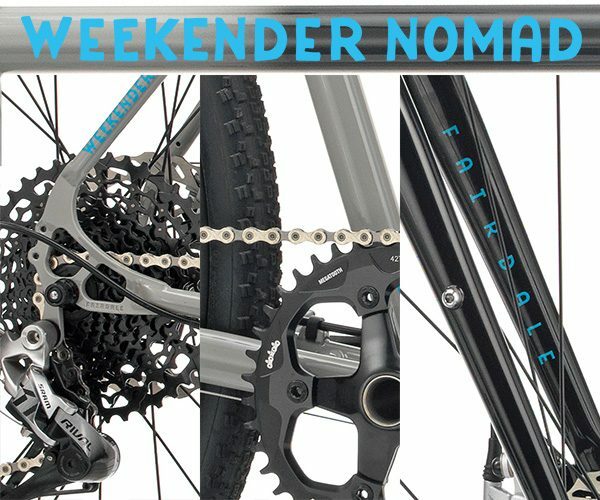 Cycling shoes make sense, but windows and doors? 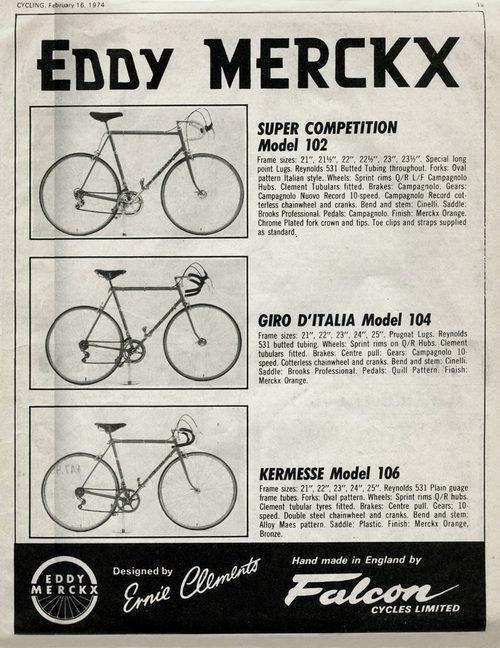 Merckx was recently featured in this ad for Belisol windows and doors. 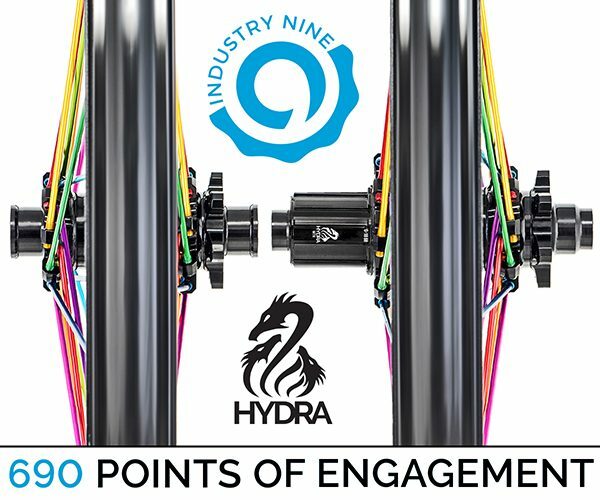 Are those the Podio pedals? They don’t look like the shoes unless it’s a more modern model. 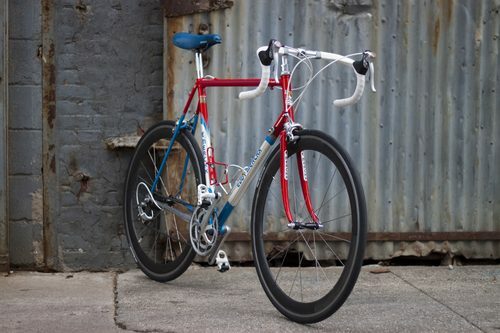 People have said that Podio is still in existence, so maybe Merckx plans on rolling them out again? 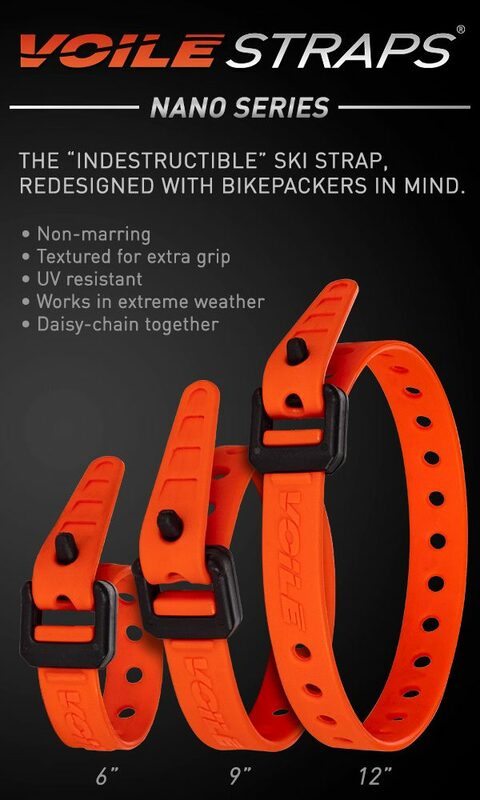 Here’s another example of the Eddy Merckx name being branded on products. 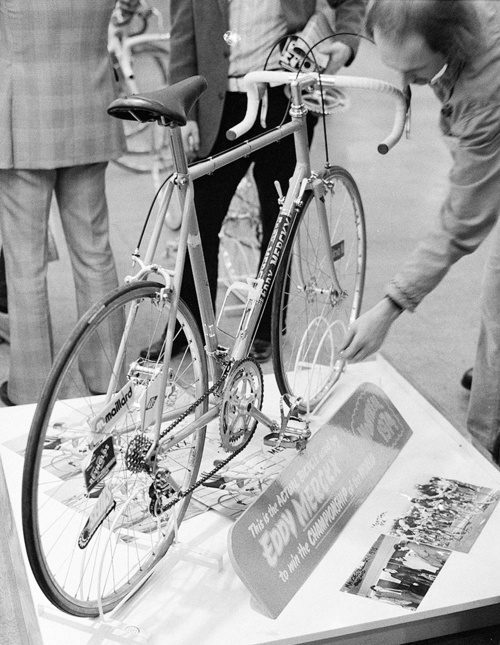 This photo is from the NY Bike Show in New York, February 1975. 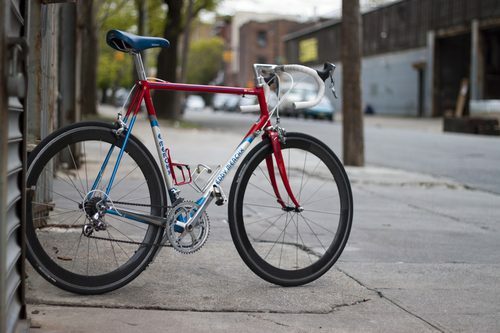 Merckx rode Colnago-built and De Rosa-built bikes back before he had his own company. 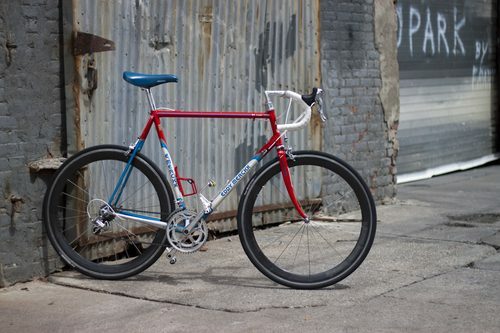 This bike was supposedly the bike Eddy raced during the Montreal World Championsip race in 1974 (even though Molteni never rode high-flange Campy hubs). At the NY Bike Show, a gas-pipe bicycle manufacturer named Falcon was displaying this bike at their booth. 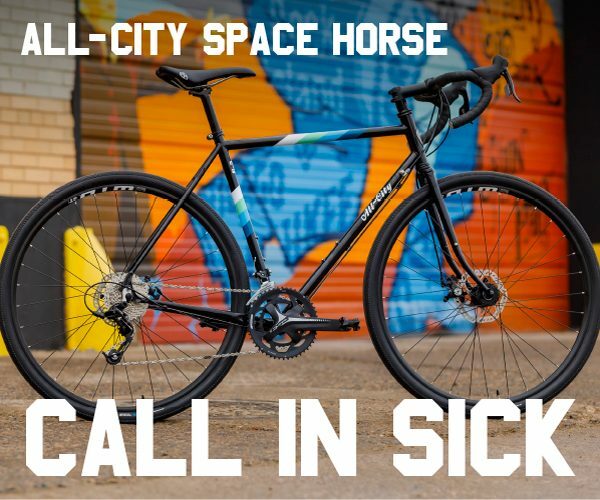 Falcon made bikes for department stores and you’ll occasionally see them floating around on eBay. They’re no De Rosas, that’s for sure. Falcons were very cheap and mass-produced. Not exactly a collector’s grail but people still pay money for them, mostly because they’re unaware of the history. 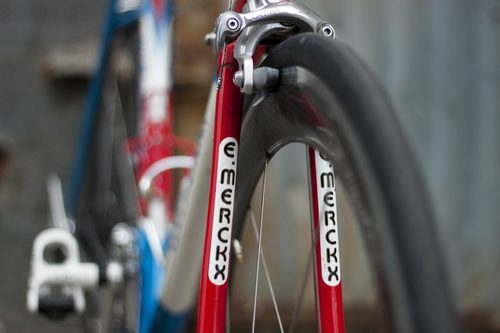 In the end, Merckx wanted to make a buck and young race enthusiasts everywhere wanted an Eddy Merckx bike. 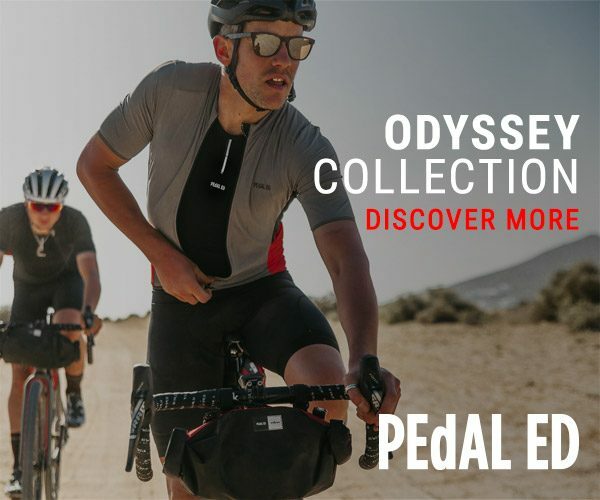 Just because it has Eddy’s face on it, doesn’t mean it’s a legitimate Merckx! Before you say anything, this is still technically period correct. A friend of mine was getting rid of some early HED road wheels. The Hyperglide cassette fit on fine, so I’m riding them on the MX-Leader while I overhaul and rebuild the 7-Eleven with DA7403. 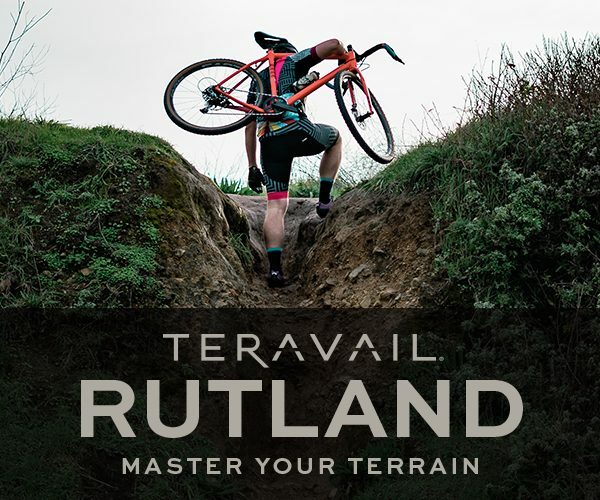 In all honesty, I can’t feel that much of a difference in the ride, until I corner or climb. My Dura-Ace wheels are crazy light and ride almost exactly the same. Decisions decisions. Check out some more photos of the new build here, on my Flickr.